Tantalize your taste buds and gain insights into Greek gastronomy with this delicious Greek food tour in Athens. Learn all about the tastes Athenians cherish and indulge in a bountiful assortment of appetizing sweet and savory local delicacies and drinks with our food-wise guide. Discover small shops, explore the city’s central Greek food market and find out for yourself what the local food culture is really like. Sample a rich selection of sweet and savory local delicacies-enough to replace lunch! 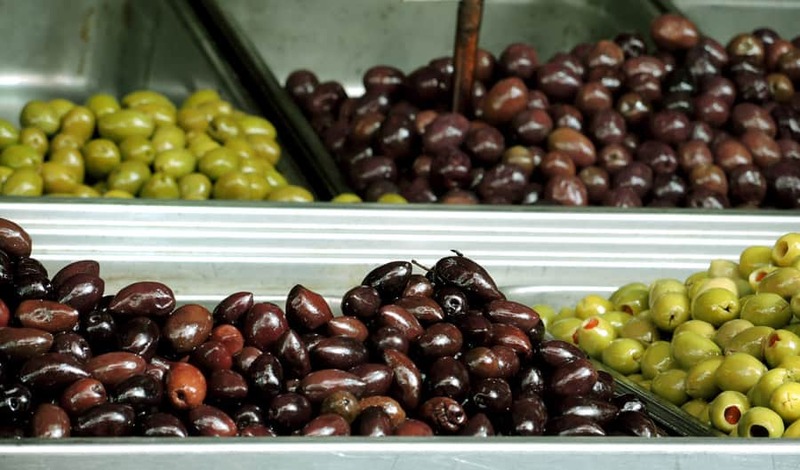 For the average resident of Athens food is much more than simple sustenance. It is a hobby, a topic of conversation, an endless passion. During our food tour you will get to taste the treats Athenians enjoy as part of their daily routine as well as gain insights into the development of our cooking methods, our recipes and culinary traditions. You will indulge in mouth-watering sweet and savory delicacies, enough to replace lunch, such as traditional pies, Greek Souvlaki, Loukoumades and cold cuts. We will also enjoy one of Greece’s most famous beverage, the Greek coffee, as well as authentic spirits that are closely interwoven with the Greek lifestyle. We will be visiting dedicated artisans that have perfected their recipes over the decades, as well as specialized food stores sourcing the best products from all over Greece. A culinary tour would not be complete without a visit to the city’s vibrant central food market where local vendors exhibit their produce from across the country. With this sense-provoking tour you will discover all of the above with our friendly and knowledgeable Greek food-wise guide. Furthermore, we can assist you with buying whatever tasty souvenirs you may want to take back home. The tour is available on a private basis which allows further customization or on a semi-private basis with a fixed schedule. Not available on Sundays & National Holidays. This tour does not include a guided tour to the Acropolis or any other archeological sites. If you wish for a tour by a licensed state guide we can arrange it upon request. This tour does not include a guided tour to the Acropolis or any other archeological sites. Do you find this event about Greek food interesting or what? Follow this link to book your Flavours of Athens tour. Check some amazing reviews in TripAdvisor for this specific Greek food tasting event.